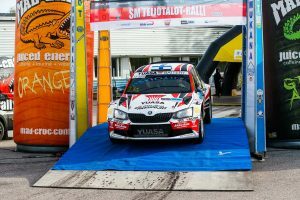 Season 2018 of the Finnish Rally Championship Series culminated in the Teijotalot-rally driven in Paimio, Southwestern Finland, on the last weekend of September. The two-day rally comprised of eight special stages totaling to around 107 SS-kilometers. 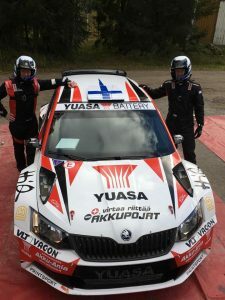 The RallyTeamKasing’s Jukka Kasi and Henri Ania drove well, ultimately reaching the season´s best ranking – 6th position in the competitive FRC1-class. 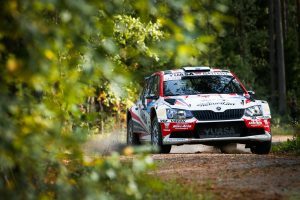 Having a three-month-long break behind them, the RallyTeamKasing pair commenced their preparations early on by driving several tests during the week leading up the rally weekend. -It’s great to be back in the race, and driving the roads in the Turku region has always been something we enjoy, Jukka commented on his pre-race feelings. 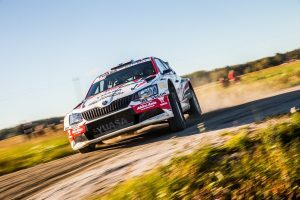 The Rally kicked off on Friday with three special stages (22 km in total), the first of which was a short city special stage on Turku racing track. The following two SSs on the other hand were familiar forest stages from previous years. 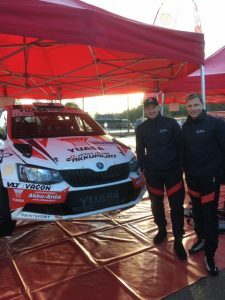 – We cleared the first SSs driven at Friday nightfall without problems, although the opening SS on Turku horse racing track offered a fairly narrow route for today’s rally cars. The SS2, in turn, has always been one of our favorite routes in the Turku region thanks to its versatility. After the night break, the rally continued in Paimio with the rally’s longest 25 km SS ’Heinäsuo’. The sub-zero temperatures had made the roads somewhat slippery, which required extra caution on the morning-opening SS4. 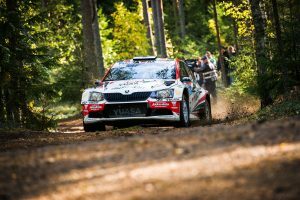 SS5 ’Palainen’ (17km) was a nice continuation to SS4 in terms of its versatility and resulted in a good position in FRC1-class before Saturday’s only service break. – We drove the opening special stage cautiously in order to get an idea of the road conditions. 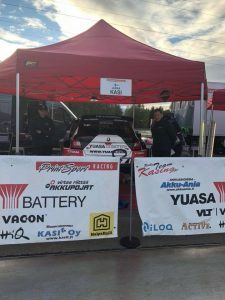 Fortunately, we got a good grip of the car, and after the first five stages we were 6th in the competitive FRC1 class, Kasi summed up his feelings at the service break in Paimio. 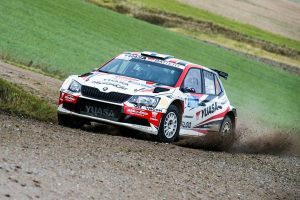 After the break, the rally proceeded to the final three special stages of the entire season. 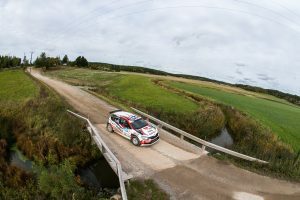 As the situation on the leader board had already stabilized, the pair Kasi-Ania headed for the afternoon´s stages concentrating on their own driving without major pressure. Despite this, the RallyTeamKasing were able to maintain their speed and cross the finish line with the 6th fastest time in their class. 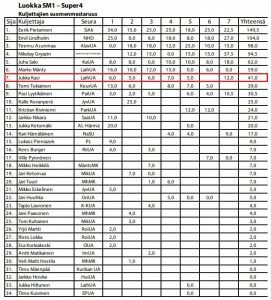 As a result, Kasi climbed to 7th position in the drivers’ overall season standings in FRC1 class. 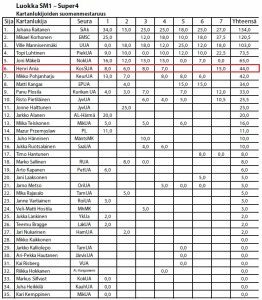 -It feels good to achieve the best result of the season especially in the final rally which also gives one and a half times the points of a normal FRC-rally. The FRC1 class has been very competitive this season, thus I value our placement highly, Kasi commented freshly from the finish line. – Especially SS7 gave me the feeling that we´ve taken some steps forward. It´s great to end the season with a feeling like this, co-driver Ania added. Big thanks to Printsport team and co-operation Partners for Season 2018! !